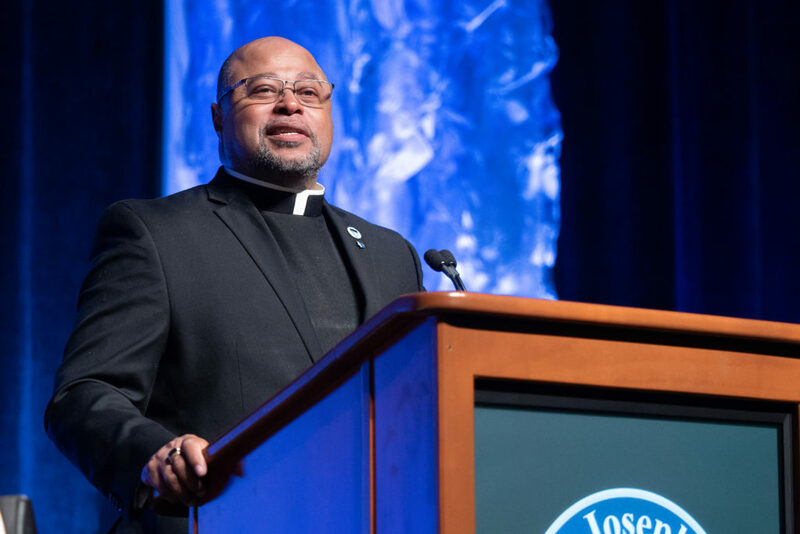 Over the weekend of November 16th, hundreds of people came to Baltimore to celebrate The Society of St. Joseph of the Sacred Heart, The Josephites, 125 years of ministry in the African American Community. The Mass and Banquet were joyous events with Josephite priests and brothers, religious sisters, and dedicated men and women who serve in this important ministry. With the help of our generous donors, we have built churches and schools, provided formation for priests and brothers and collaborated with other religious communities and lay leaders to share the Good News. Read the homily that was given by Father Michael Thompson, SSJ. And, see all the photos from the Mass and the Banquet. If you would like to donate to support the Josephites’ mission, please do so here.